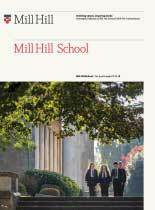 Tennis is a key sport at Mill Hill with the opportunity for pupils to play all year round. Headed up by Sarah Ward (Herts and ex Yorkshire County player) and with the on-going support of PCA qualified coaches, the School has a strong squad of junior and senior players. Pupils have fixtures against well-known tennis schools and also compete in the AEGON School Competitions including the Year 10 event, the Aberdare and Glanville Cups, the Senior Students as well as the ISTA Championships held at Eton. The majority of pupils playing tennis also receive dedicated coaching, compete regularly in tournaments outside of school and hold current LTA ratings. Several of our current and past tennis pupils have also represented their county in their respective age groups. Excellent results have been achieved; the girls and boys have previously been Area Champions in the AEGON Year 10 and have reached the National Quarter Finals of this event. In the ISTA our U15 boys and girls regularly reach quarter final stages and have previously won the Asbury Bailey Shield and Phillips Cup. The tennis squad has previously visited the world renowned tennis centre, La Manga, in Spain and South Africa where pupils competed in the Cape Town International Tennis Tournament and more recently to Vale do Lobo, Portugal. We also aim to take pupils to the All England Club during the Wimbledon Championships each year. As well as focusing on current pupils, we also host an annual U11 Tennis Competition in conjunction with Gosling Sports Park which attracts an entry of over 70 boys and girls.